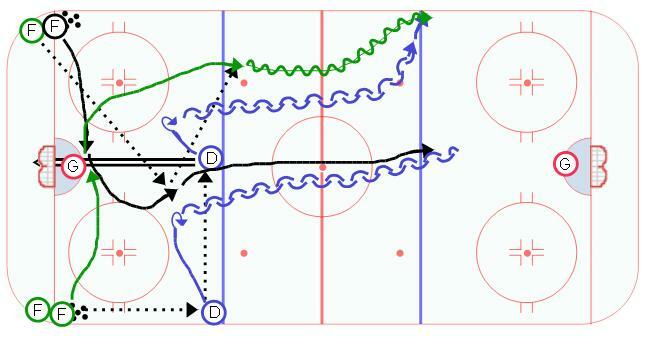 This ice hockey drill is an extension of the tip drill. Once the shot is taken from the point and teh rebound is either put away or cleared out, the forwards position themselves to receive a pass from corner. They receive a pass from the corner and attack the two defense 2 on 2. The defense need to work on their gap control. They should be standing up at the blue line forcing the forwards to make a play.